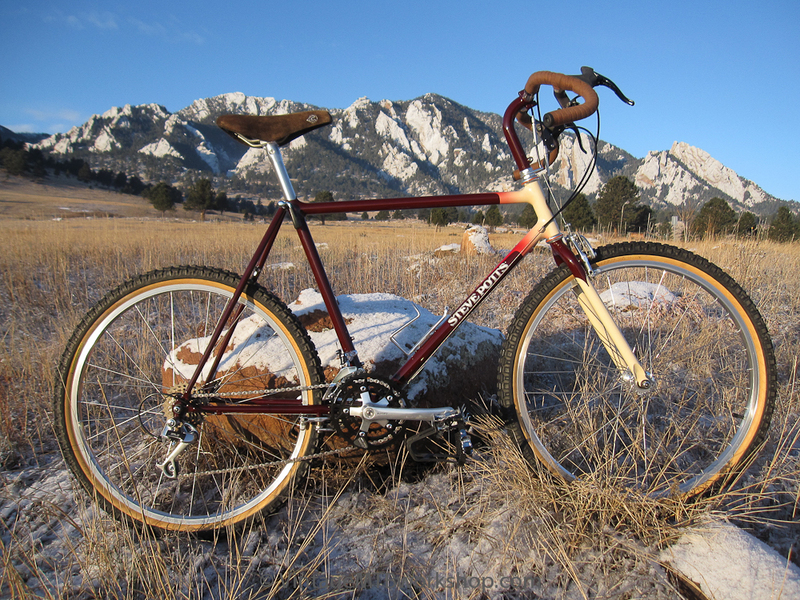 Wilderness Trail Bikes co-founder and legendary frame builder Steve Potts painstakingly built his signature frames with flowing, fillet-brazed joints. 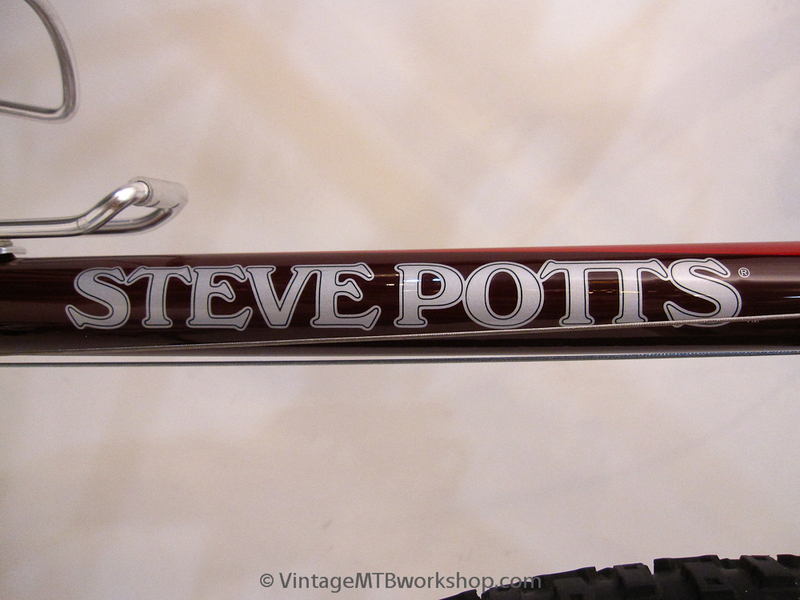 This Signature features the best of Steve's frame building skill, from the fillet-brazed fork to the special gooseneck stem for proper positioning of the drop handlebars. 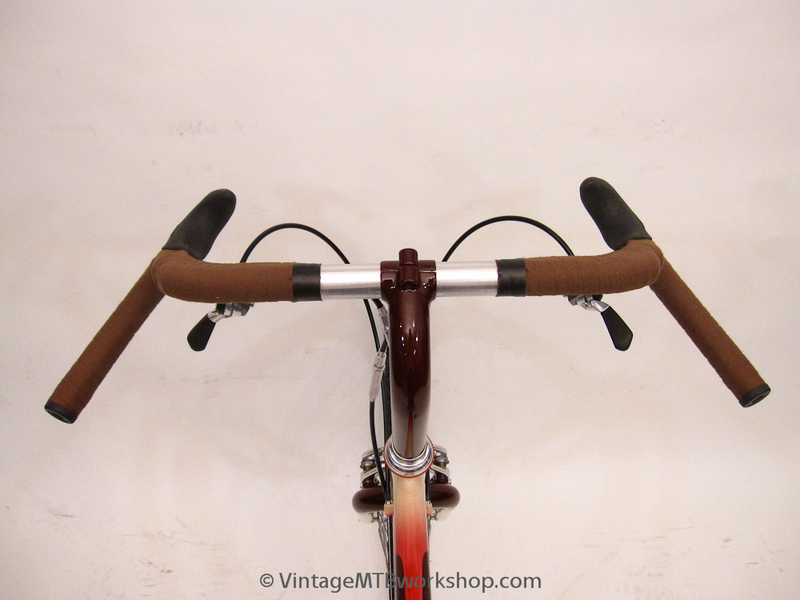 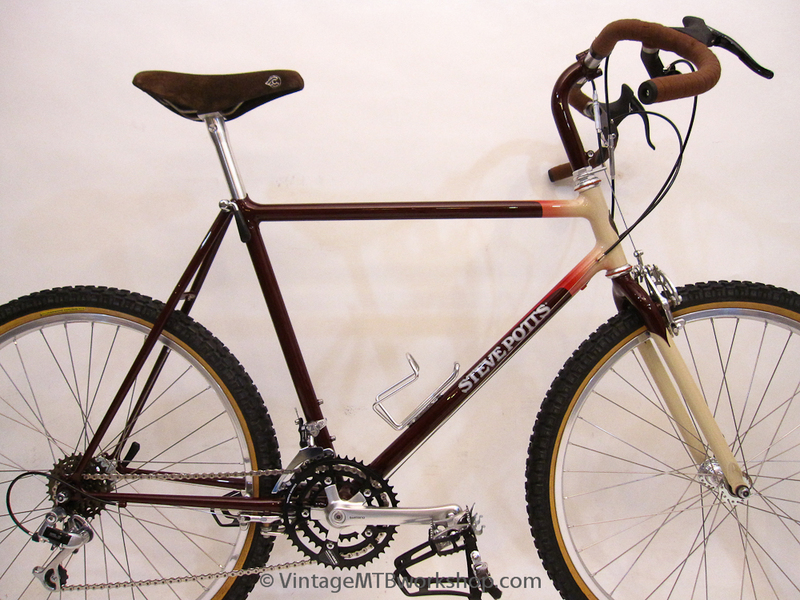 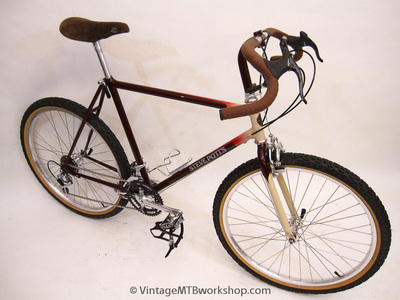 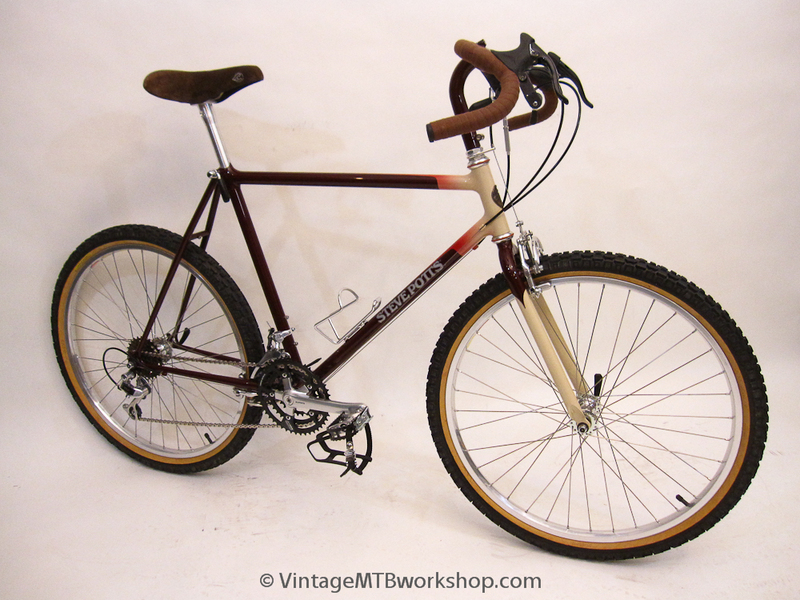 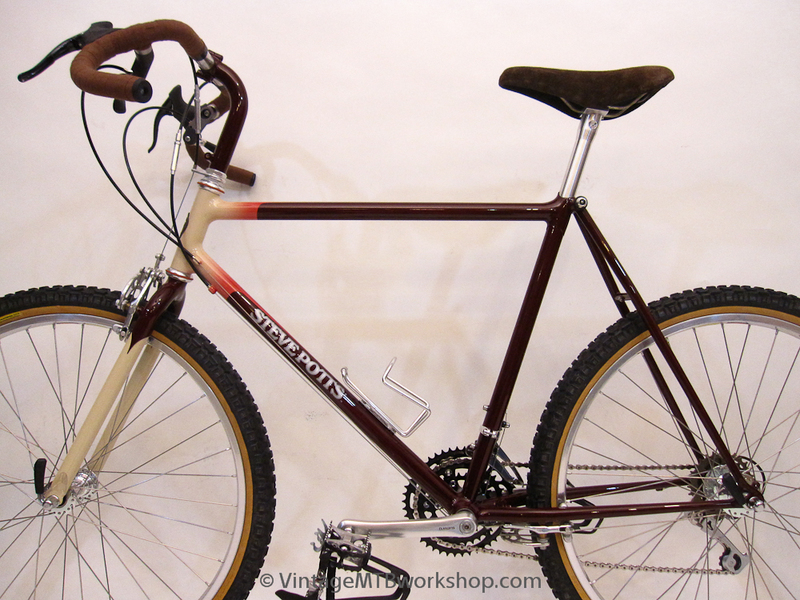 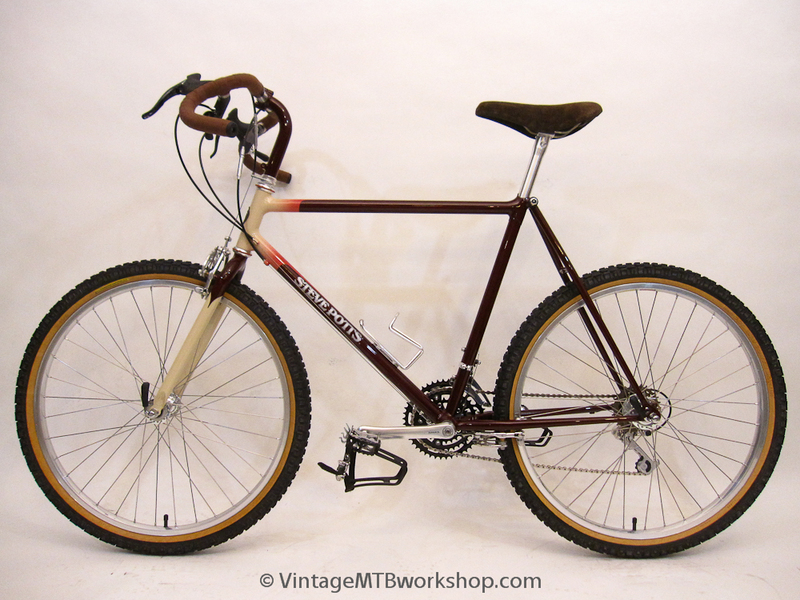 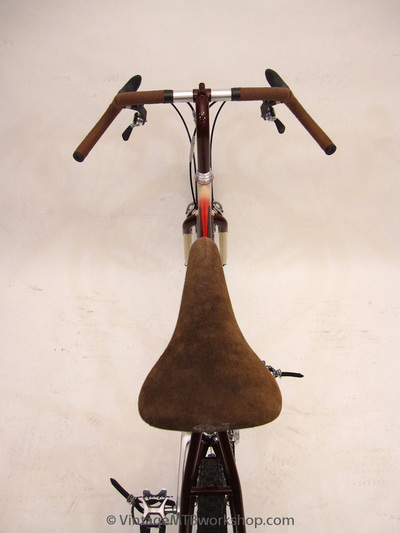 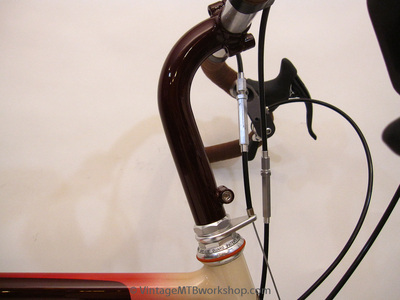 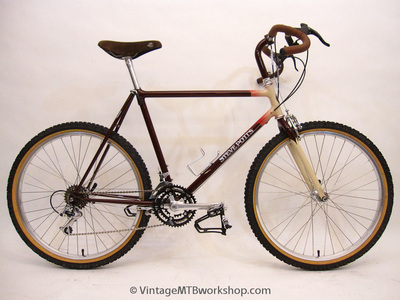 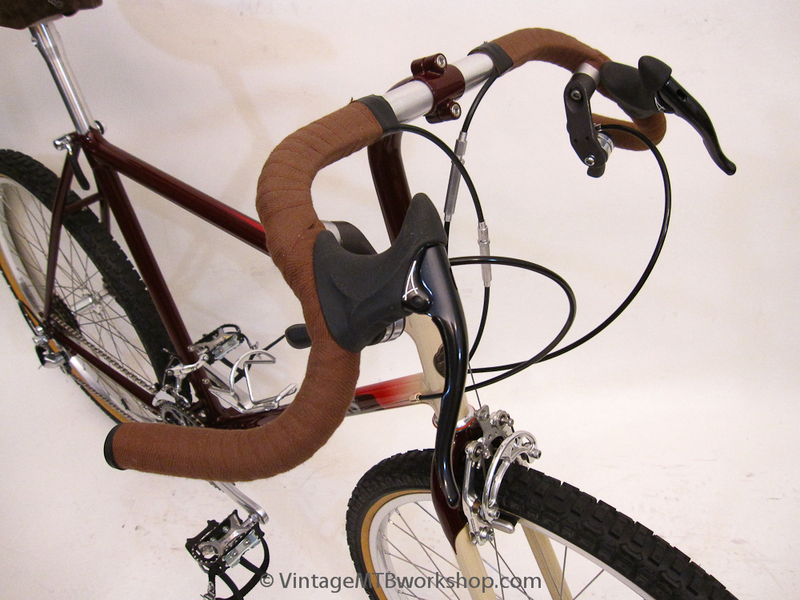 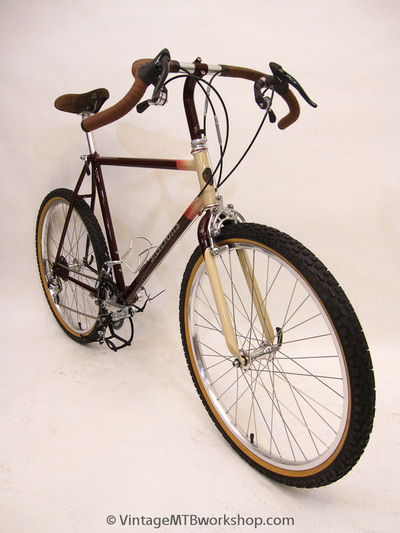 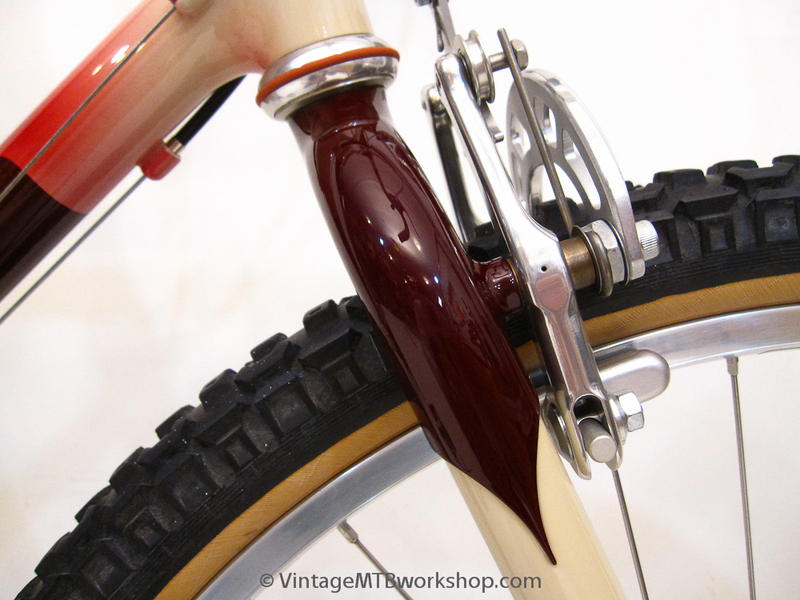 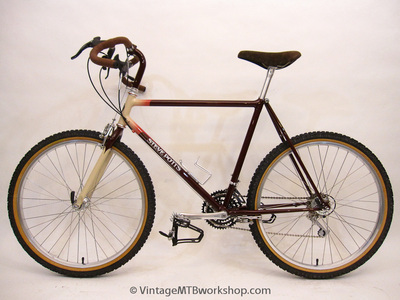 This bike started out as one of three unfinished frames more recently found in Steve's shop and subsequently completed with braze-on details and a new stem. 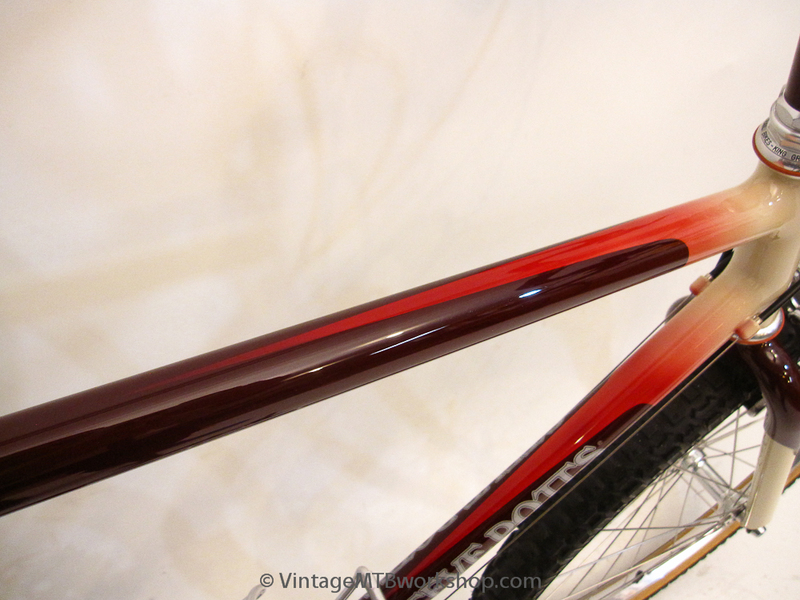 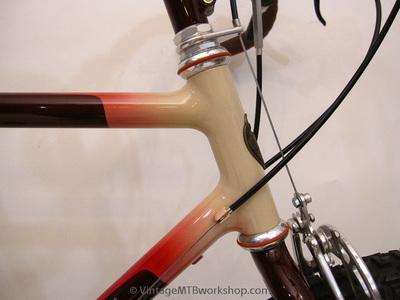 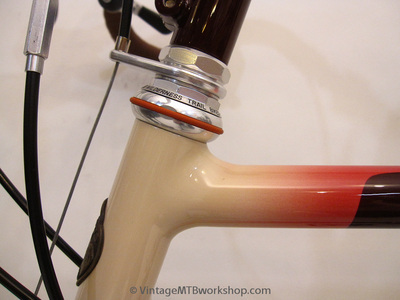 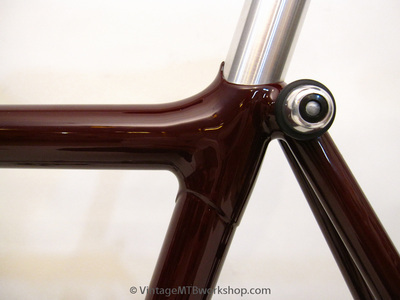 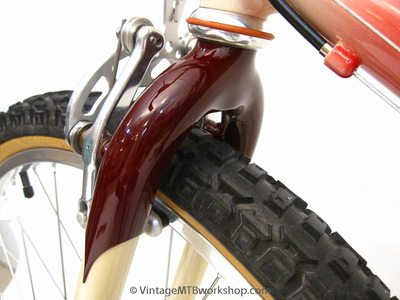 The frame was then finished at D and D Cycles using Imron paint in a classic scheme as it would have been done for Steve at the time. 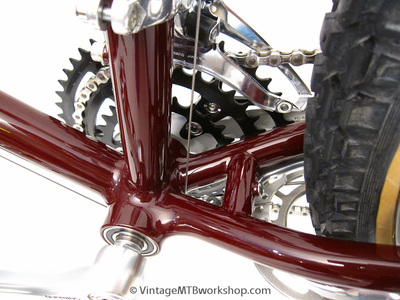 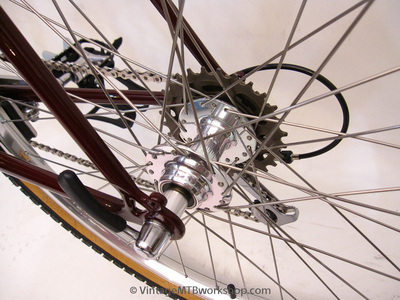 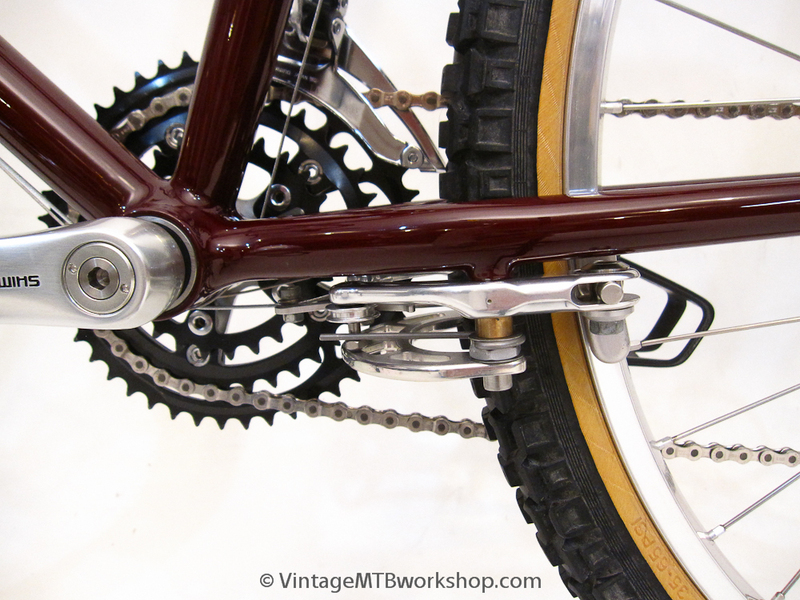 The bike was built with unused vintage parts to represent how the bike would have rolled off the showroom floor in 1987. 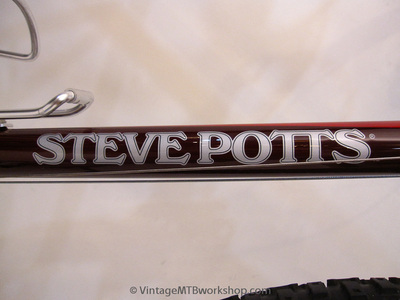 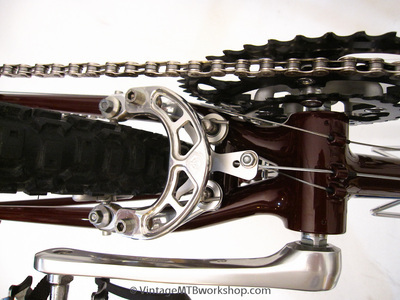 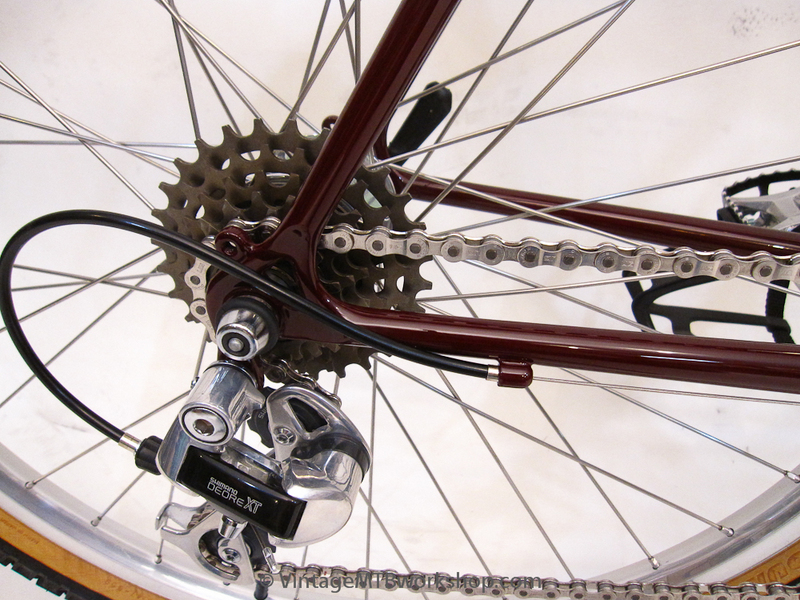 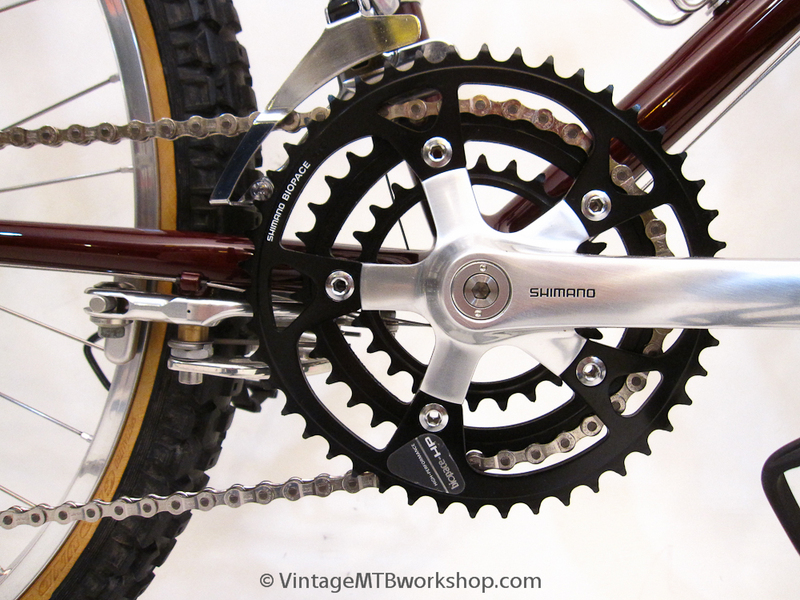 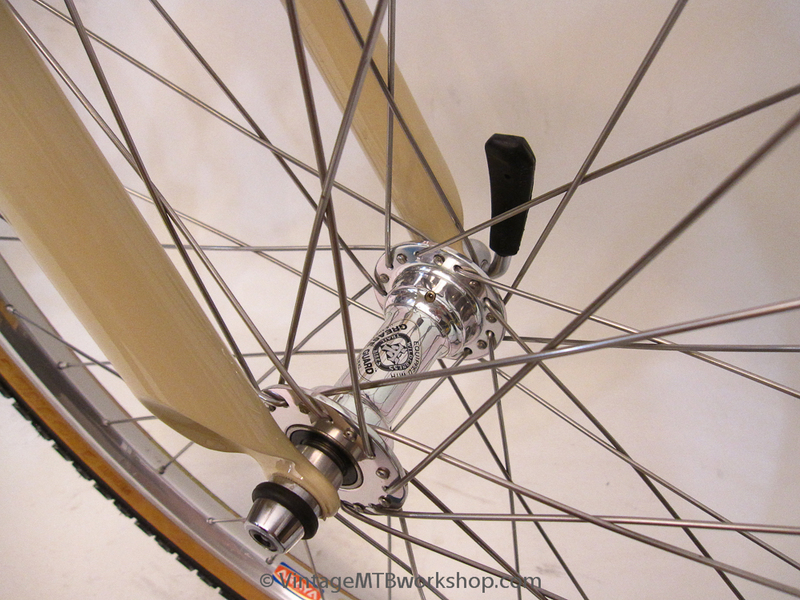 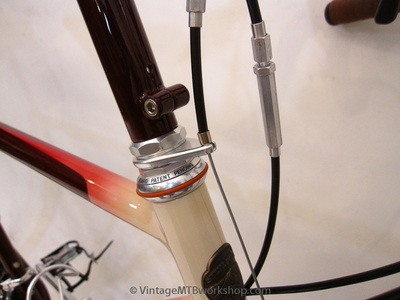 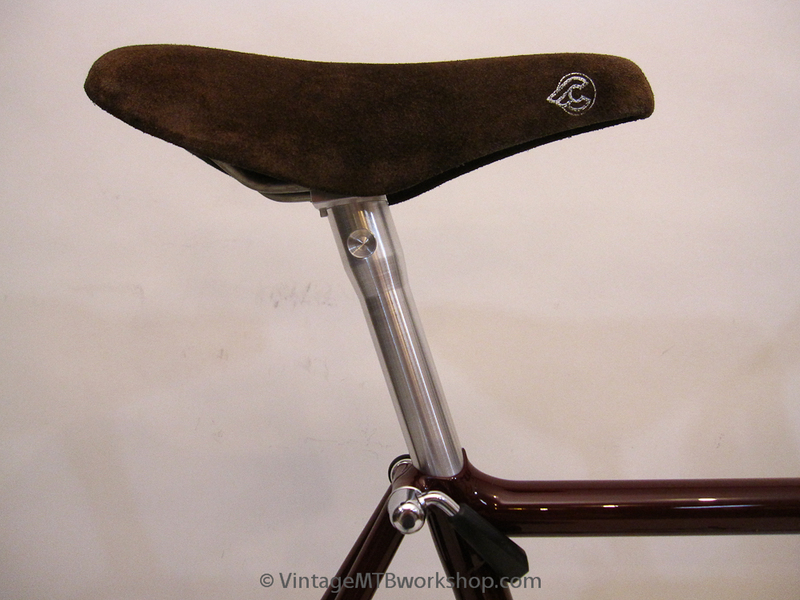 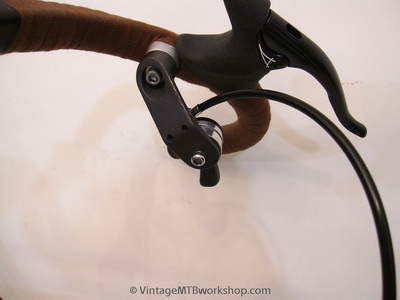 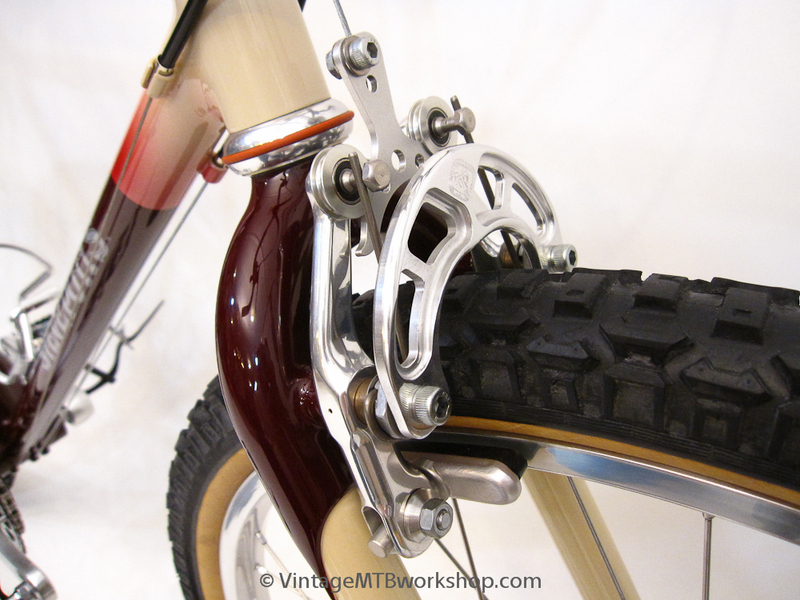 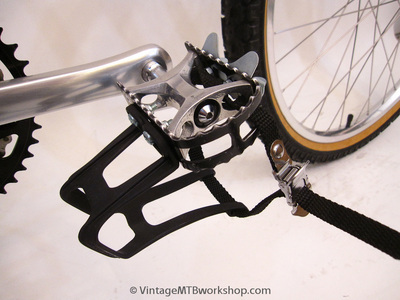 Parts for which Steve was personally involved in developing, manufacturing, or marketing include the fixed angle seatpost, thumbshifter Multimounts, WTB Speedmaster Rollercam brakes, WTB Grease Guard hubs, WTB / Chris King headset, and the Specialized Ground Control tires. 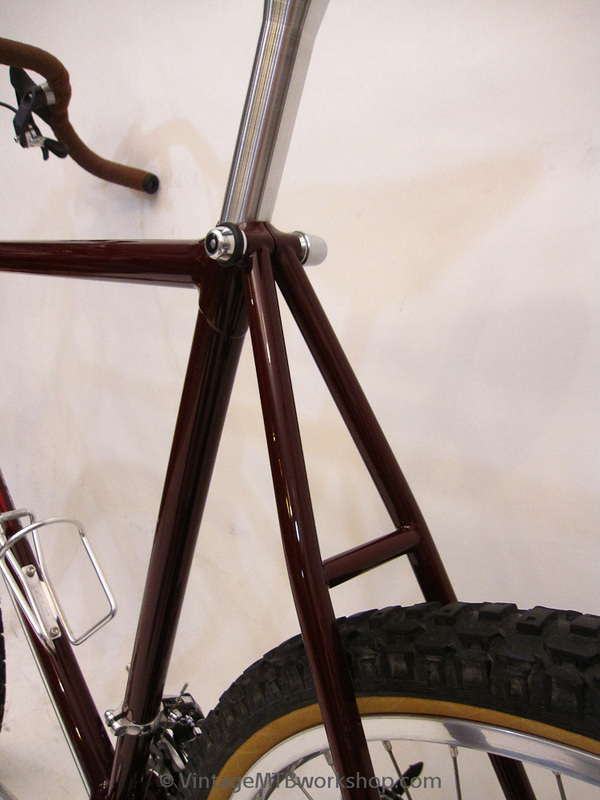 The bike was shown at Steve's booth during the 2013 North American Handmade Bicycle Show to remind attendees that he has a long history of building in steel before setting the standard for modern titanium frame construction.